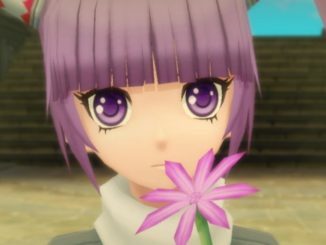 EDIT: Tales of Hearts is said to be for the Nintendo DS, while Tales of the World: Radiant Mythology 2 is said to be for the PlayStation Portable. 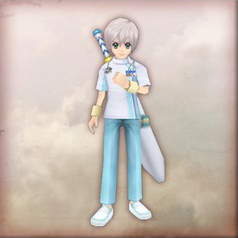 ToH's hero is called Shing, and the heroine is Kohaku. 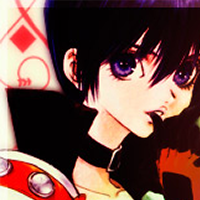 Character designer isInomata Mutsumi. Some are saying that this is a Team Destiny game too. 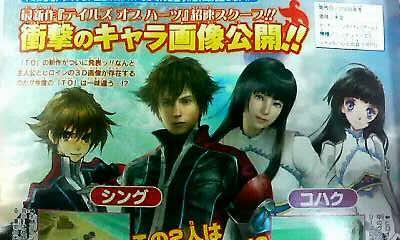 TotW:RM2 is said to have at least 50 characters from the previous games, up to Vesperia (Yuri Lowell is in the scan). Tales of Merchandise Monthly Issue #6: Sept 2012: Calendars, Straps & MIEU!